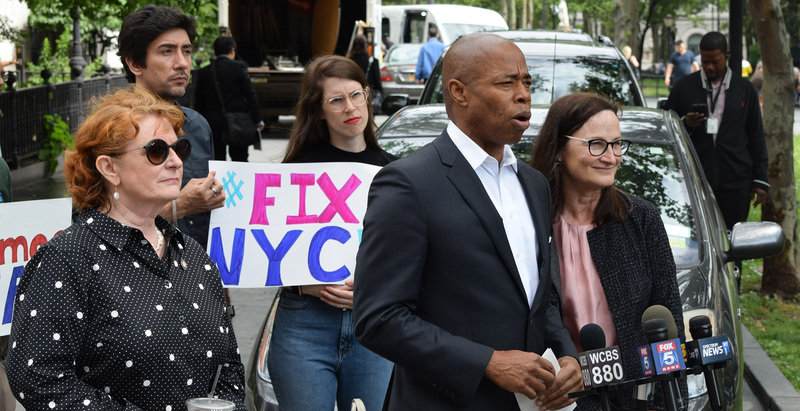 Brooklyn, NY—Today, Brooklyn elected officials, civic leaders, and transit advocates outraged by last week’s subway ceiling collapse gathered outside Borough Hall station to call on state government to raise the billions of dollars necessary to fund the MTA’s Fast Forward plan and fix the subway. Their calls, which come one year after Governor Andrew Cuomo declared a system wide state of emergency, demand action. The incident at Borough Hall is emblematic of the broader problems facing subway infrastructure and modernization. The station, the oldest in Brooklyn, with the third highest ridership in the Borough, has been in a state of disrepair for many years. 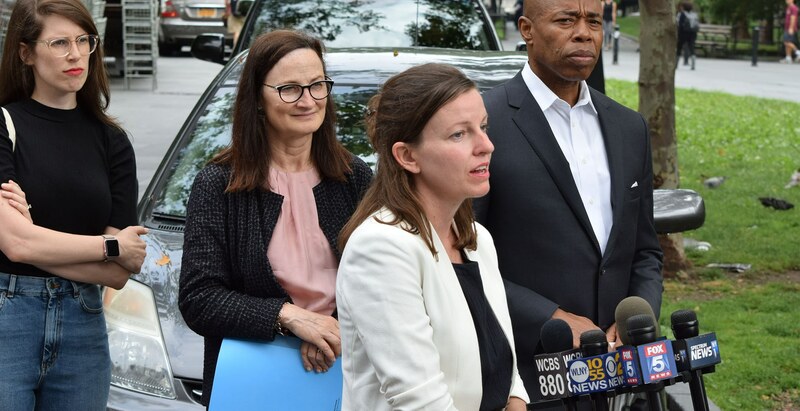 And although the MTA 2015-2019 Capital Plan allocated $43 million to essential upgrades at Borough Hall Station, work has yet to even be scheduled. “What is it going to take to fix the subways? We have a plan, we have the political will, and we have the support of virtually every New Yorker. The only thing missing is the money, which is bizarre given that Governor Cuomo has found the money for capital projects with half the support. Now a piece of ceiling has collapsed and it is a miracle no one was more seriously hurt. But we cannot wait for disaster to strike. We must be proactive, rather than reactive, when it comes to transportation infrastructure. New Yorkers must see that we can repair infrastructure as basic as the subway without having to rely on a catastrophe. 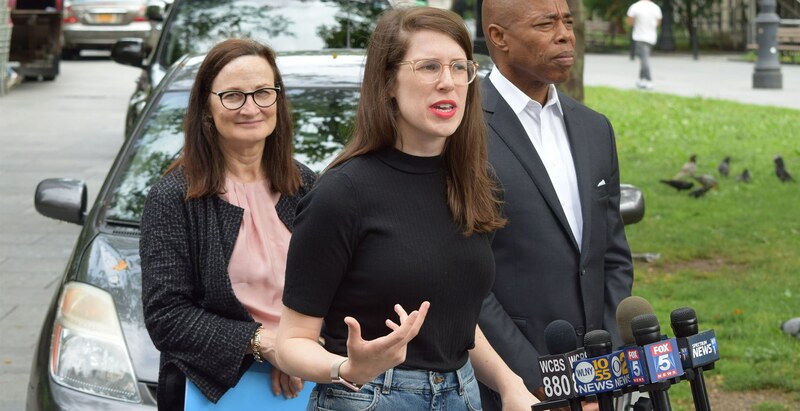 It’s Cuomo’s MTA — he must raise the funds now and fix it,” said City Council Member Carlos Menchaca. Brooklyn’s economy is completely dependent upon the subway”, said Alexandria Sica, Executive Director DUMBO Improvement District. “Our companies are choosing to invest here and the government has got to do its basic duty - keeping the trains moving and the stations safe. Heading into work, the only ceiling a New Yorkers should be concerned with is the glass ceiling she intends to break- not the MTA ceiling literally breaking down onto her. It’s time to fix the system”. 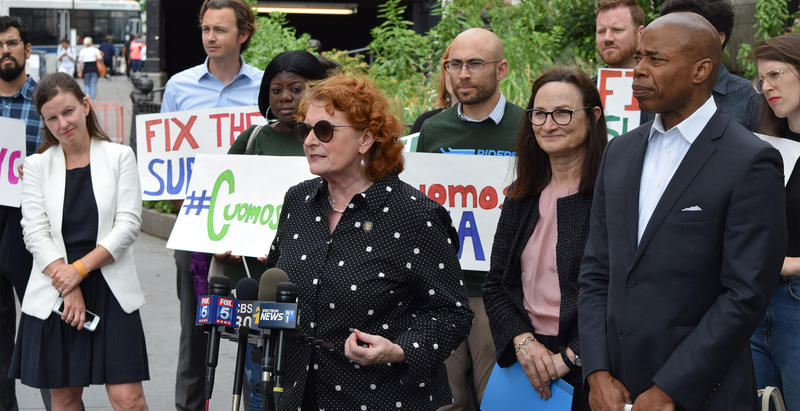 “The MTA has released an ambitious plan to fix and modernize our city’s subways, but we’re still waiting for a funding commitment from the State government, said Nick Sifuentes, Executive Director of the Tri-State Transportation Campaign. 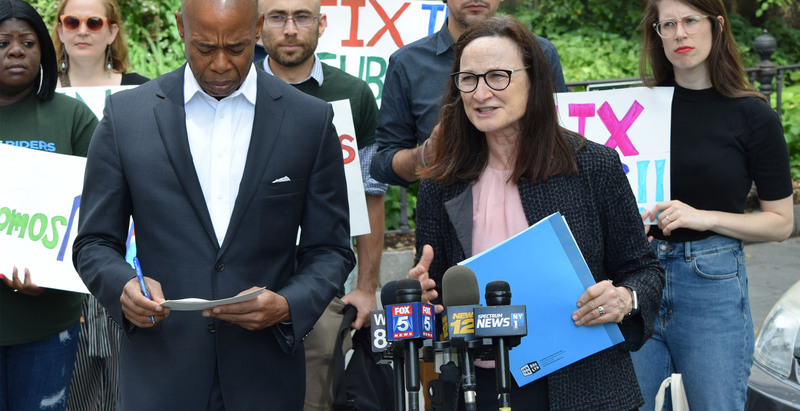 “Commuters are being forced to deal with an unreliable system that is literally falling apart before our eyes. 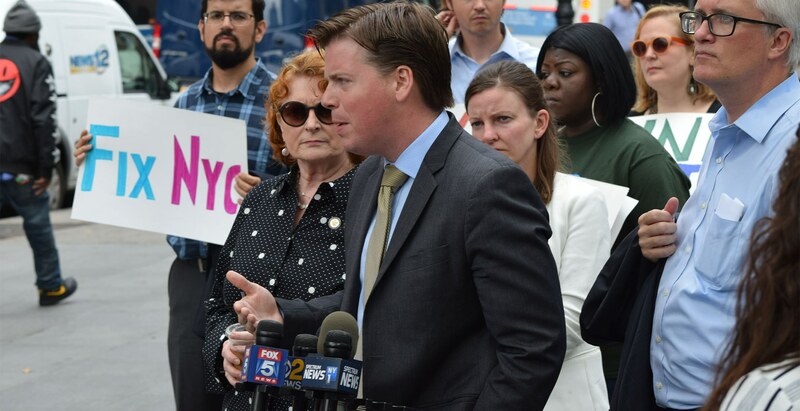 Now, more than ever before, we need Albany to get to work and fund the MTA’s Fast Forward plan. The MTA’s $19-billion Fast Forward Plan to modernize the New York City transit system is designed to fast-track vital, needed repairs and reduce implementation time from 40 years to ten. The plan includes upgraded CBTC signal systems on 5 subway lines, more than 50 accessible stations, state of good repair work at more than 150 stations.